Were Sears Kit Homes Prefabricated? In this post I will re-examine another common “fact” about Sears homes that is frequently mentioned in the media and on internet sites. 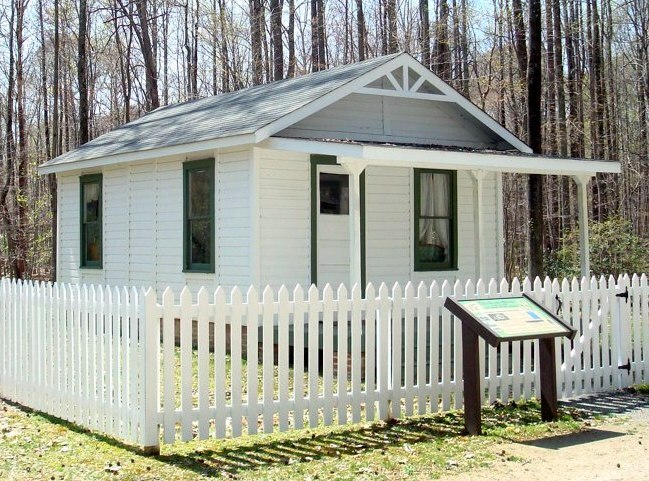 "Sears & Roebuck began selling prefab homes in 1908 and discontinued the line in 1940. In between those years, the company sold prefabricated homes in a large variety of sizes and designs." "One of the first prefabricated homes was by Sears. From 1908-1914 Sears produced the 'Sears Modern Home' which was essentially a kit of parts (that were prefabricated) that made a house. " Sears kit houses are often referred to as "prefabricated". We need to understand what exactly prefabricated means. "A prefabricated home is one having walls, partitions, floors, ceilings, and/or roof composed of sections or panels varying in size which have been fabricated in a factory prior to erection on the building foundation. This is in contrast to the conventionally built home which is constructed piece by piece on the site." Prefabricated houses from Mobilhome Corporation coming off the assembly line in California. These houses were "fabricated in a factory prior to erection on the building foundation", per the definition. What Sears delivered to the customer. The Sears houses were "constructed piece by piece on the site", per the definition. Does this look prefabricated to you? Sears Honor Bilt homes were not prefabricated homes, but were true kits. 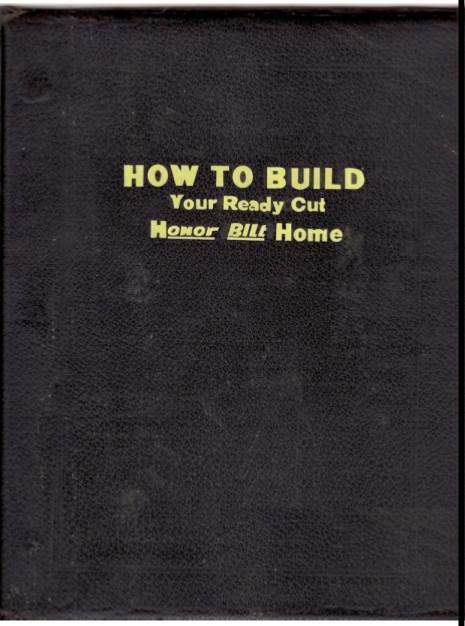 Each 12,000-piece kit came with an instruction book and detailed blueprints, specifically designed for a first-time home builder. Nothing was pre-assembled at the factory. Plumbing, heating and electrical systems were not included in the kit, but could be ordered separately. Bricks, concrete blocks, and stones were also not included. 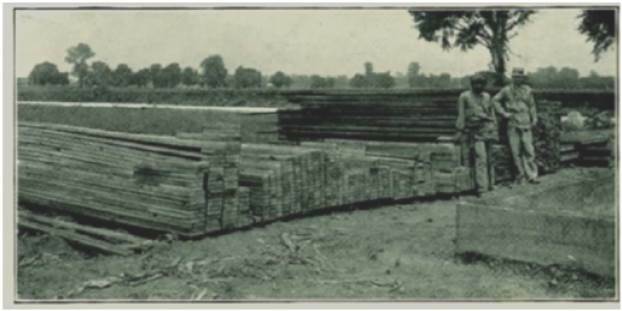 Each piece of pre-cut lumber was marked with a letter and a three-digit-number that corresponded to the building plans and facilitated construction. 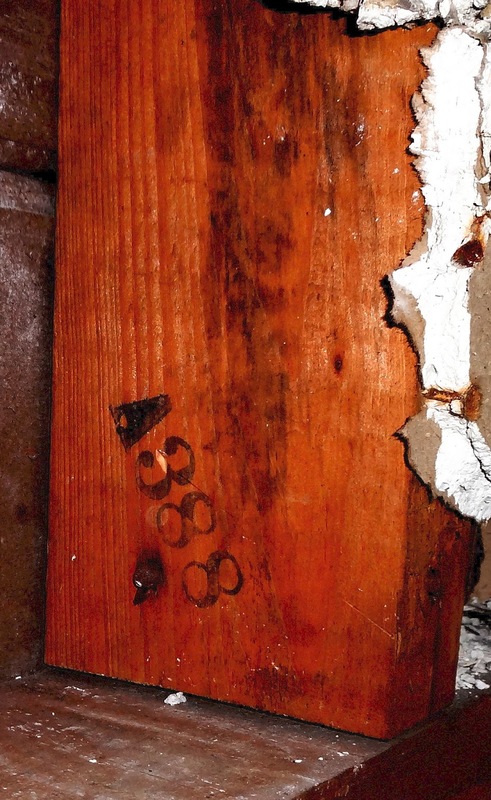 Today, these marks can authenticate that a house is a kit home. Photo courtesy of Wende Dau. The framing members were marked. Sears claimed that customers could expect to save 40% on construction time because of the pre-cut lumber. When people talk about "Sears kit homes", they refer to the Honor Bilt line of models. A Sears Magnolia in Syracuse, NY. This is an Honor Bilt house from Sears and it was built on site using pre-cut lumber and other materials. Photo courtesy of Proulxhome. Through the 1910's and much of the 1920's, Sears sold a small line of prefabricated "ready made" structures called Simplex. They sold Simplex houses, garages, chicken coops, etc. Simplex houses were made of panels that the customer could bolt together and erect in a couple days. Sears called these "portable" structures since they were easy to pack up and move if necessary. Simplex houses were primarily intended as summer cottages and did not have insulation, plumbing, electric, or heat. A restored Simplex "Goldenrod" cottage in Maryland. It consists of three rooms and no bathroom. The prefabricated Simplex homes were not sturdy and, as a result, there aren't many standing today. Photo courtesy of Gary W. Cramer. 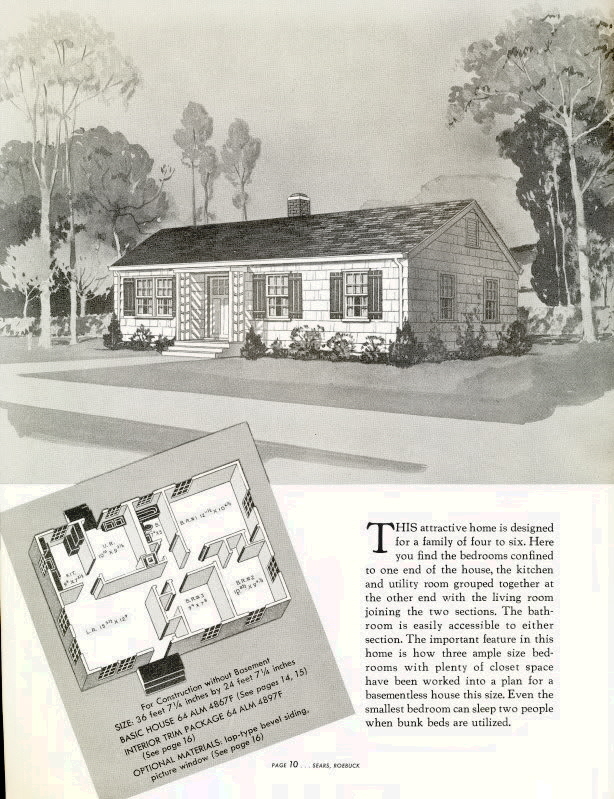 From 1946 to about 1952 Sears sold prefabricated, "ready to erect" Homart Homes in a limited distribution. These houses consisted of factory-built wall panels with windows and doors already installed. Roof gables, front door canopies, roof panels, and basement stairs were also pre-assembled at the factory. The floor and ceiling joists, sub flooring, and other trim parts were delivered as pre-cut lumber. 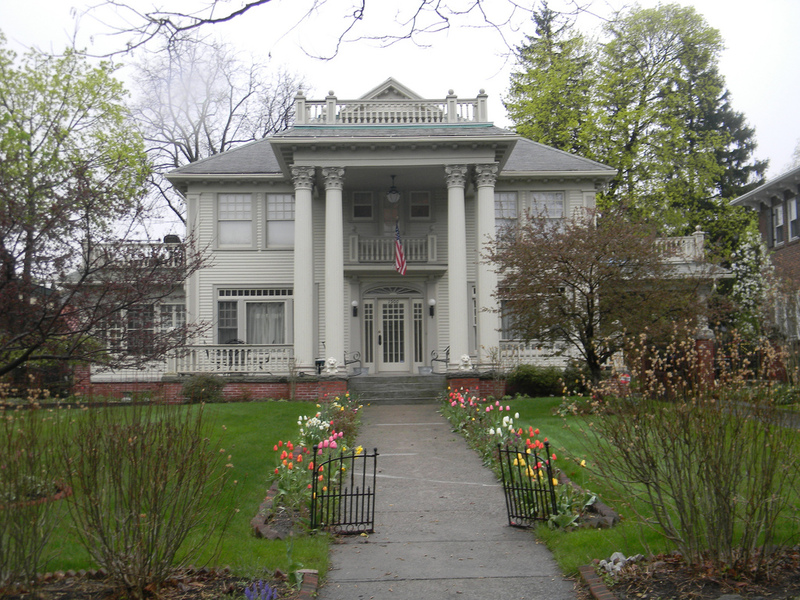 A Homart Home at 1654 Elmdale, Glenview. A typical model from the Homart Homes catalog. As always, your blog is great go-to source! I ran across this Goldenrod's listing on the Historical Marker Project, Googled it, and here it is on your blog. Great research, as always!